Phu Quoc Island in the southern province of Kien Giang has become a magnet for investors, with a slew of large projects under way now. The CEO Group has started building Sonasea Villa & Resort on an area of 80 hectares at a cost of 4.5 trillion VND (200 million USD). It will see the 406-room Novotel Phu Quoc Resort, to be managed by France's Accor Group, finished first at the end of next year. Vingroup has begun work on the 304ha Vinpearl Phu Quoc, which will have luxury hotels and villas and a golf course, at a cost of 17 trillion VND (800 million USD). Nam Cuong Group is working on a 3.2 trillion VND (150 million USD) project. "Authorities have identified tourism and investment as keys to boosting the economy," Huynh Quang Hung, Deputy Chairman of the Phu Quoc People's Committee, was quoted as saying in Thoi bao Kinh te Viet Nam (Vietnam Economic Times). According to the island's Development Investment Management Board, in July it asked the Kien Giang provincial People's Committee to approve licences for five projects on an area of over 43 hectares, issued licences for six projects costing 6.65 trillion VND (315 million USD), amended the terms of four licences, and cancelled seven licences and took back 104ha of land. Licences have been issued for 190 projects on around 8,700ha, of which 18 on an area of 990 hectares and costing 6.9 trillion VND (330 million USD) have begun operations. 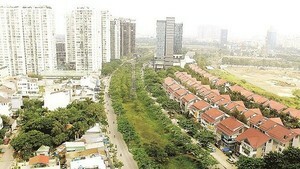 Another 14 are under construction at a cost of around 24 trillion VND (1.15 billion USD). Most investment in Phu Quoc is focused on hotels and resorts. But even with the 952 luxury rooms that are planned, Phu Quoc will have only 20 percent of that of Da Nang and Phan Thiet and 30 percent of that of Nha Trang despite the fact all their beaches are nearly of the same length. Not surprisingly, with just two luxury hotels, rents here are higher than even in Hanoi or Ho Chi Minh City. Investment in Phu Quoc is not very easy due to its remote location and distance from the mainland. The construction cost of a low-rise five-star hotel on the mainland is around 1,000 – 1,500 USD per square metre, but in Phu Quoc it increases by 20-30 percent since the materials have to be transported from the mainland. It is also more expensive to operate a business on the island due to the high electricity and water tariffs. The shortage of power used to be a big hurdle to the island's development, but the situation has changed after Phu Quoc was recently connected with national power grid through an undersea cable linked from Ha Tien town. Lack of quality human resources, especially people with fluent English, is another challenge for Phu Quoc. Competition among luxury hotels for skilled staff has pushed salaries through the roof.